Circdata has expanded its product portfolio and launched its event app – called Fusion-Visit – at New York Vet and London Vet Show this month. The Circdata development team worked closely with CloserStill Media to ensure the app is reliable and as easy to use as possible, offering all the essential functionality an event attendee would come to expect. The app offers a super simple user interface and it is available on both iOS and Android platforms. 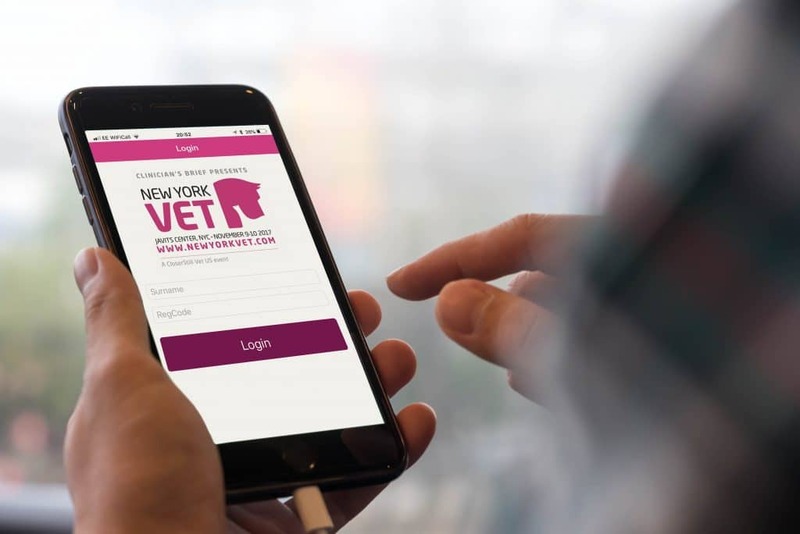 Across New York Vet and London Vet Show there were over 31,000 user activities on the app; proving its capacity for significant attendee demand. Fusion-Visit also includes many other clever feature options to further develop the digital and physical event experience for attendees, exhibitors and organisers. For example, event organisers can use the app to push notifications to the audience, so if the keynote is about to begin, or an exhibitor is about to unveil its latest product development, users of the app can be notified. The app enables gamification too; organisers can enhance interactions with exhibitors by encouraging visitors to use the app to gain points for visiting stands, a particularly useful tool to drive traffic to areas of the floor that need a gentle nudge. A real-time leaderboard in the app displays the visitors with the most points throughout the day. From a visitor perspective the app offers seamless accessibility. Registrants simply scan the QR code within their registration confirmation to be automatically logged into the app. Within the app their access badge for the event is available to save time printing badges or finding the registration email on arrival. Once inside, visitors can exchange their contact details using the app by simply scanning the QR code on the reciprocating visitor badge. The app also enables visitors to plan their day; with options to view exhibitor profiles, the seminar programme and speaker profiles, plus the opportunity to plan their route around the show using an interactive floor plan tool. As with all Circdata’s service offerings, the app provides event organisers with valuable data to aid the development of their shows. Users of the app have the facility to rate speakers and sessions, and organisers can download reports on user activity pre-, post- and during the event. Importantly, the app also packs in an offline mode so event organisers don’t suffer any embarrassment if the Wi-Fi network lets them down. “We were delighted to launch the new Circdata event app this month, which is the perfect partner to our event registration platform. We aim to support our clients in creating meaningful event experiences with focus on engagement, interactivity and networking, and the tools available within the app do just that. It was exciting to see it in action at New York Vet and the London Vet Show, and we hope it will roll out across the shows we support over the coming months,” said Chris Clipston, Chief Operating Officer at Circdata. For more information call us on 01635 869868 or visit this page.